Ok, so here’s the story…my buddy in life, Rickard, is on his way home with his family when they are stopped in the middle of the road after an animal had been hit by a car. Sad enough until they discovered it was their cat, Tigger. As you can imagine, it was a huge tragedy in a normally stable and non-emotional home. After whisking the poor cat to the vet and spending some serious cash on a tigger fix, the cat made it to live another day. The problem was that Tigger was not out of the woods…health wise that is. A phone call from the vet the next day sealed his fate…Tigger was on his last life, er, legs. He wasn’t going to make it…which prompted an outpouring of prayer from Rickard and Laurie’s kids. Tears were gathered up by the angels and presented to God…and lo and behold, moments away from breathing his last, Tigger made a comeback. The family was at the vet to say their goodbyes and Laurie noticed that Tigger was looking better…the vet and the family couldn’t believe it! Tigger, instead of going to the sweet by and by, was going HOME! As you can imagine, the miracle prompted a discussion about prayer among the family from which theological assumptions were underscored by Rickard in his talk with his children. As he said to me today…"how do you answer the fact that Tigger is going home and God healed him?" "Sure, God is not taking care of AIDS in Africa or world hunger but he is healing our family cat". Well, this teaching moment presents itself to Laurie and Rickard…since Rickard is the family theologian and missional practitioner, he now has the distinct pleasure of either underscoring heresy and rooting out misunderstandings about prayer and cats OR he can ignore the situation and let his children loose in our community to lay hands on any injured animal. I can see it now…"daddy, there’s another sick/injured animal…pull over, I’m feeling the presence of the Hoooooooly Spirit". Maybe it is true that the Bjerkander children have the "gift of healing of cats". It is a little known gift of the Spirit mentioned in 3 Timothy 2:12. If that is the case, we are in big trouble. Like many of you, the only good cat is a…er, well, ah…I better not go there! If the children have the gift of healing of cats and I blast them, maybe I’ll be visited by an Ananias and Sapphira moment. That would be very unpleasant! 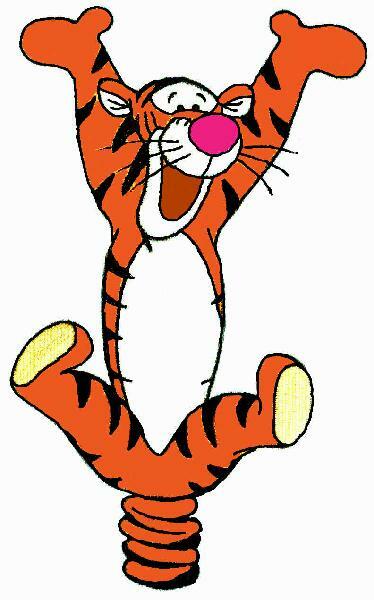 So, here’s to Tigger and here’s to the kids…may they forever know the truth about the power of prayer!